Our Apex Legends best weapons page contains stats for all Sniper Rifles, SMGs, LMGs, Shotguns and Pistols in the game. 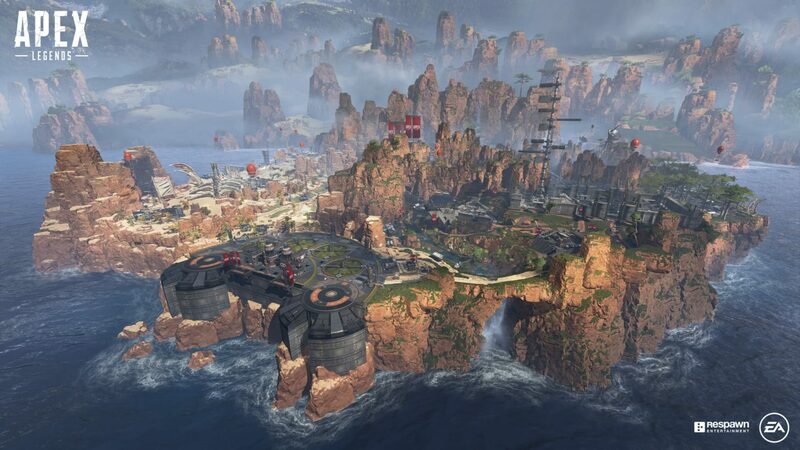 Apex Legends packs a generous selection of weapons, spread across a variety of different categories that you'll be well familiar with from both the core FPS genre, and the well-established roster of battle royale games that have cropped up over the last 12 months. SMGs, sniper rifles and shotguns are all present and correct in the game, along with a couple of other categories too. Within each category of weapon is a selection of guns, and choosing between them can be tricky when you're new to the game. 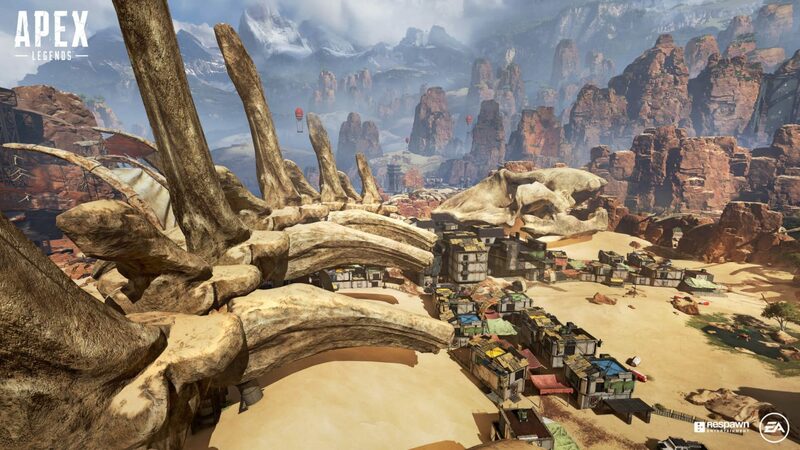 To help you out, we've put together a guide to the best weapons in Apex Legends, with a breakdown of each gun's individual stats, and a few thoughts on the pros and cons of using each one. Expect this guide to be updated considerably as we get more hands-on time with the game. Note that the stats in this article have been referenced from a number of community sources such as Reddit. They are subject to refinement over time with game updates, and we will endeavour to keep this article updated accordingly. Easily one of the strongest assault rifles currently in the game due to its precision at both mid to long range. Don't let the fact it's burst fire put you off, as tapping the trigger in quick succession effectively makes up for a lack of full auto. The Hemlock takes heavy ammo which means it's a heavy hitter too and you can even switch to single fire mode for increased accuracy. We'd say the main disadvantages of the Hemlock are its small magazine and lack of full auto. It's incredibly easy to burn through a clip, which makes it pretty unforgiving for players who aren't confident in their aim, or just having an off day. This also means you're better off switching to an SMG or Shotgun at short range as the Hemlock has too limited a magazine to pull off a spraydown, especially if the enemy is all armoured up. You'll see the R-301 often as it's a pretty common drop, but this doesn't make it a bad weapon - far from it. The R-301 is highly accurate, takes the abundant Light Ammo type and rattles off bullets at a staggering pace. This makes it a brilliant all-rounder which is perfect for short to mid range engagements. Land all your shots and you'll bring down an enemy very quickly. With a small magazine, the R-301 requires an accurate hand to get the most out of its insane fire rate. We'd recommend slapping an Extended Light Mag onto it as quickly as possible with this in mind. Prepare to pull your joystick or mouse down when you spray an enemy too, as the R-301's recoil has quick a kick. We're big fans of the VK-47 Flatline as it's another great all-rounder. It takes heavy ammo so it packs a punch with every shot, a decent clip size for taking on multiple enemies, decent accuracy and a manageable rate of fire. Just be mindful of its sharp recoil when holding down the trigger. Otherwise, we really rate this weapon! The Devotion takes Energy Rounds which aren't easy to come by and it takes time to wind up to its maximum fire rate. However, it's immense power and surprising accuracy more than make up for these drawbacks. Lock onto an enemy, let loose and you'll shred them in next to no time at all. The M600 Spitfire takes more commonly found Heavy Ammo and provides a more measured shooting experience than the Devotion. It can't match its ridiculous fire rate, but this makes it a little easier to handle, and because there's no wind up time you can spray down targets as soon as you've got them in your sights. If you've got the chance to wield the M600 Spitfire, make sure you do so. This thing is a monster in almost every scenario, and with such a large clip size you can afford to miss a few shots and still get away with it. This is your bog standard pistol, so there's not much to say. Great if you've got no other alternative but we certainly wouldn't recommend keeping this past the early game. Slap full auto onto your bog standard pistol and you've got the RE:45. It packs a punch at close range, but recoil control can be tricky as it spews bullets at a rapid pace. Perhaps the only pistol you should consider keeping, but only if you're extremely confident in your aim. The Wingman is a meaty, slow firing revolver which takes Heavy Ammo. This means it packs one heck of a punch both in terms of damage dealt and recoil kick. It's also surprisingly accurate at all ranges, so you can pull off some devastating headshots from afar if you line up your shots correctly. The Mozambique is a pocket shotgun which makes it a decent close range option in the early game. Again, we wouldn't recommend keeping this over an actual shotgun once you've looted up a bit. In this section we've broken down all of the Shotguns that are available in Apex Legends. A full auto Shotgun which deals strong close range damage. The fact it fires in full auto also means it's more forgiving than its semi-auto counterparts, making it perfect for rapid-firing in a sticky situation. One of the most powerful weapons in the game at close range, this thing is monstrous when getting up in an enemy's grill. 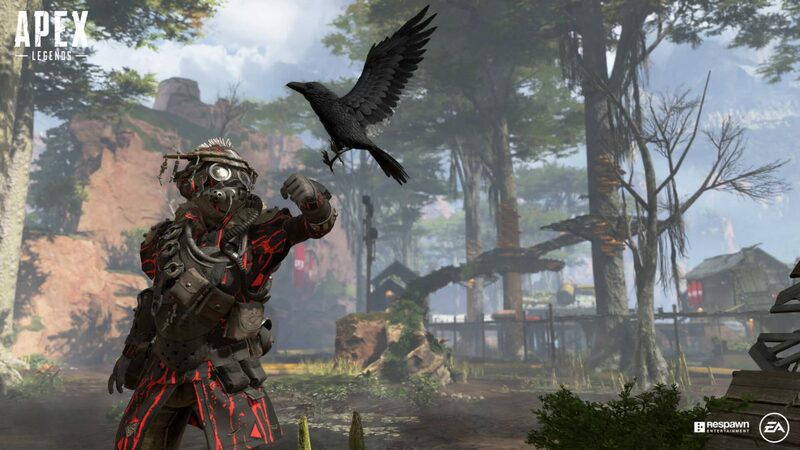 However, it's exceptionally rare so chances are you won't see this weapon in your average game of Apex Legends. If you happen to stumble across the Mastiff, make sure you pick it up. It's capable of one-shotting an enemy if you land a headshot! A lever action shotgun which is capable of dealing a huge amount of damage. It's our favourite of the bunch as it's readily available in matches and provides a nice mix of stopping power and accuracy. Of course, you'll want to take a split second to line up each shot as you will need to reload the chamber between every shot. This can make it a little unforgiving for those who struggle with their aim, but it's something you can get used to with a little practice. Oh, and if you pick up a Precision Choke you can hold down the ADS button (RMB on PC) to charge up a shot. Pull the trigger and it'll release a more powerful shot with higher accuracy, almost turning it into a short/mid range rifle! This weapon provides decent, dependable damage but doesn't have any "wow factor". Recoil is high, fire rate is average and that's about it. The Alternator is okay if you're lacking any other alternative, but we'd ditch it in a hurry for something else if possible. The only SMG to take Heavy Ammo and fire three round bursts by default. This gives it decent stopping power and higher accuracy than most, but means it doesn't offer that "sprayability" at close range, so to speak. However, manage to grab yourself a "Selectfire Receiver" and you'll be able to set its fire mode to full auto. This effectively unleashes its full potential and transforms it into a close range beast. The best all-rounder SMG in the game right now. It's got a generous clip size, fast fire rate and manageable iron sight which makes it a brilliant short range option for downing targets in a hurry. We wouldn't recommend using this weapon at mid to long range, but it's well worth hanging onto when clearing out buildings or tackling enemies head on. The G7 Scout doesn't deliver brilliant single shot damage, but it makes for a strong semi-auto rifle which can dent enemy health bars at mid to long range. We think of the G7 as more of a DMR than a sniper, and in many ways this makes it more versatile than its counterparts. You can mix and match attachments to fit your playstyle or suit the situation at hand, and the fact it uses Light Ammo means you're unlikely to run out of bullets either. Along with the Mastiff Shotgun, the Kraber is an ultra rare drop which deals disgusting amounts of damage. It can drop an enemy with one shot, but it does come with some caveats. It doesn't support any attachments, can't take extra ammunition and requires lengthy reload times between every shot. If you're accurate, the Kraber is a must-have. Think of this as the G7 Scout's elder sibling. Same semi-auto setup, loads of attachment options, more damage and faster bullet velocity. All of these traits make it a superb pick for mid to long range skirmishes. 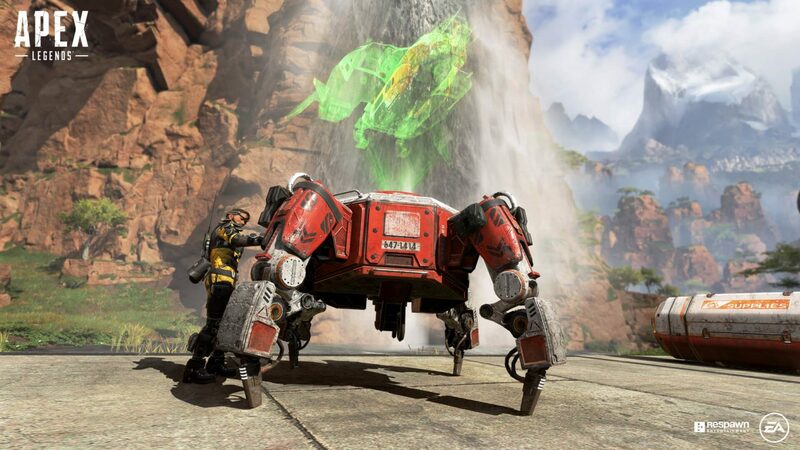 Definitely the most unusual weapon in Apex Legends, the Triple Take is a sniper which fires off three energy pellets with every shot. It also uses Energy Rounds unlike the other two snipers. In our experience, the Triple Take lacks the stopping power of other snipers. It's great if you can land a couple of shots in quick succession, but otherwise it's best to go with the G7 or Longbow for now.